If you are a filmmaker and are looking for appropriate film scores do not hesitate to get in contact. :Golgatha: are: Christoph D. (vocals, lyrics, several drums, sounds, flute), S. Marleni (guitar, keyboards, vocals, lyrics), Sorakey (vocals, Lyrics, artwork). Occasional Guests: Anna-Maria K. (viola), Ildìko (vocals), Patrick Leagas (vocals, lyrics), Tony Wakeford (vocals), Beinhaus (several drums, sounds), Herbst9 (sounds, mixing), Mink Moe (keyoards), Tho-So-Aa (sounds), Claudia J. (vocals). Mixing and Mastering: Deadlock Mutex at Somewhere in Europe Studio. Credits: Stéphane / Athanor, Roger / Cold Meat, Volker / Eternal Soul, Jeremy / Nocturne, Marcus / :Ikonen: media. 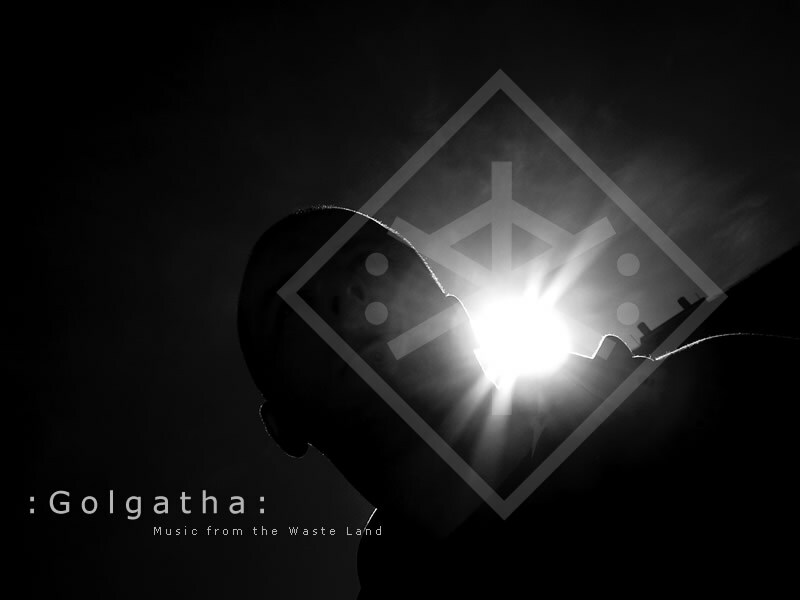 :Golgatha: is in no way connected with any Blackmetal-bands of similar name. The [:] are part of the name and the concept. They symbolize the inner concept of the band. :Golgatha: may present a somehow pessimistic vision du monde but does not support intolerant, reactionary, totalitarian as well as militaristic opinions. We are searching for a balanced view, therefor always the whole picture should be considered - not the supposedly 'pleasing' excerpt. Deep listening is required!